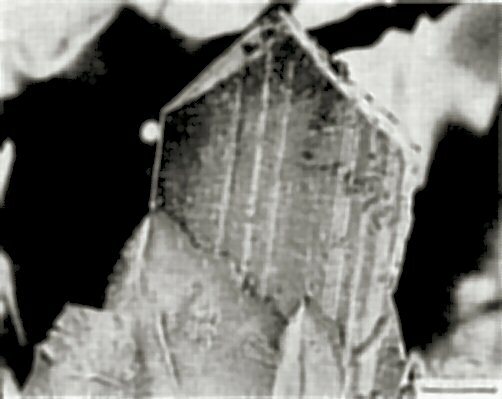 Comments: SEM image of a prismatic, striated nagashimalite crystal. Location: Mogurazawa mine, Honshu, Kiryu, Gumma Prefecture, Japan. Scale: Scale Bar 0.05 mm.